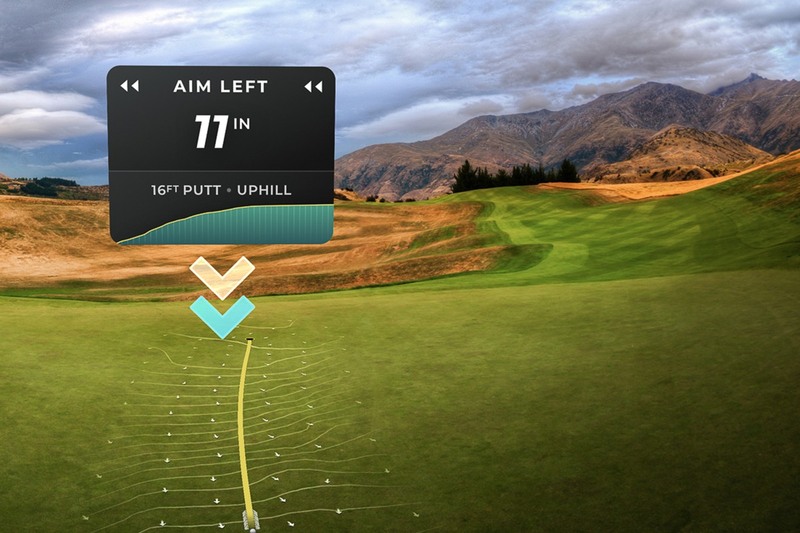 App provider @GetGolfScope is leadingthe augmented reality charge to the putting green. Will golfers and golf's governing bodies follow? The skill of reading greens is an imperfect science which befuddles weekend hackers and touring pros alike. There are days when the hole appears to be covered in cellophane and others where sinking putts is like shooting fish in a barrel. The crux of the matter is putting is entirely theoretical in that everything one takes into account before hitting a putt may or may not matter, yet once the ball starts rolling, nothing more can be done. It’s a confounding situation and one for which there are numerous answers from a myriad of authors. There are methods like Aimpoint and gurus like Dave Stockton. Everyone has a theory, a can’t fail tip or some other sort of hackneyed system. However, what Ryan Engle has to offer is a bit different. His app, Golf Scope (currently available for iOS users), aims to take the guesswork out of green reading. Engle is an engineer by trade and a golfer by passion. He has a plethora of experience in the small business tech startup space and worked as the lead engineer on an app for Glasses.com, which at that time was owned by 1800 Contacts. As a contractor, Engle didn’t have an equity stake when the application was eventually sold, but contacts he made through that venture have provided much-needed capital investment for Golf Scope. So long story short, Engle left a comfortable salaried position to chase his passion. “I have enough to buy myself a year, but I also have a house, wife, and baby,” he said, “so there’s certainly some risk.” Successful entrepreneurs often see opportunities others simply don’t, and Engle feels that by getting his product to market before others, he might be running a bit in front of where the market currently is, but ultimately he feels that will serve him well. Golf Scope is an augmented reality (AR) app which uses 3D mapping and GPS technology to create overlays of greens to determine the optimal line for each putt. It’s not unlike Toptracer technology. The difference is that Golf Scope is predictive; it shows you the line before you putt. Using the camera on your phone, you snap a picture of the ball and then scan the green and capture a photo of the hole. The app can recognize the hole so long as the user is within approximately 18 feet of it. From there, the app creates a 3D rendering of the green and displays the optimal line for the putt. The app will also present alternative lines based on how aggressively the player wants to play the shot. So long as you document each putt, Golf Scope will calculate your strokes-gained putting data based on PGA Tour putting statistics. Effectively, this will allow the player to see how many strokes they gain or lose relative to a tour player during a round. Eventually, the goal is to assemble data which will allow the golfer to calculate a strokes-gained statistic based on more than just distance (e.g., speed, slope, predominant break, and direction) and disaggregate the information any number of ways including anticipated score (putting for birdie vs. putting for par) and stated par for the hole. The $19.99 annual fee (iOS only for now), includes a free 30-day trial and unlimited use of all features. At that price it’s easily worth skipping a trip or two through Starbucks, particularly if you play events or tournaments without the benefit of a local caddy or years of local course knowledge. Think of it as Cliff’s Notes for green reading. In beta testing, I found the app to be pleasantly accurate, though the version I used didn’t offer multiple lines for different speeds. Also, because the app doesn’t yet have machine learning capabilities, it wasn’t able to account for geographic features (lakes, mountains) which have a pronounced effect on the greens at my home course. Otherwise, the app was both easier to use and more precise than expected. Tradition and technology can make for odd bedfellows, and golf seems to be caught in a constant pillow fight between the two. But, this is where golf – or at least some portion of it – is headed. In many ways, golf is still in the dark ages when it comes to the use of technology, and it’s unreasonable to expect ruling bodies to proactively create room for products like Golf Scope. Rulemaking bodies are by nature reactive, and as such, advances in technology and the quandary in which it puts ruling bodies is often what dictates rule changes, not the other way around. Arccos Caddie 2.0 is a prime example, though there are many others (18 Birdies, ShotScope) which are exploring various ways in which big data can be leveraged to improve performance. Augmented Reality technology might be new to the golf space, but as a technology AR systems date back to the early 1990s. Moreover, a plethora of data already exists, but the challenge lies in making it accessible to golfers in ways which are both meaningful and affordable. Like every other sport, golf is subject to evolution. One can like it or hate it, but it’s futile thinking to pretend such advancements and innovations can be curbed. I’m certain the “this isn’t the way golf was intended to be played” contingent will gripe and contend Golf Scope takes some skill out of the game. By that line of thinking, we quickly enter the circular conversation where one side feels AR apps are taking techy things a step too far and the other side points to 460cc drivers, hybrids, shafts made from exotic materials, and balls with more layers than my wife’s bean dip as evidence the industry has no problem with advancements where the sole purpose is making the game easier. Another perspective is to consider the concept of a digital caddy. Beyond the requisite duties of carrying clubs, providing yardages and tending flags, what’s the value-added purpose of an actual human caddy? If the answer is to give the player helpful information to help them shoot a lower score, I have to ask, what’s the real difference? Golf Scope and Jim “Bones” McKay (Phil Mickelson’s long-time caddy) ultimately serve the same purpose, though the premise is Golf Scope can produce the same (if not more accurate) information without requiring decades of experience and volumes of handwritten notes to do so. The essence of golf is executing the shot, not gathering information which creates the context in which it’s played. Some people don’t like too much technology mixing with golf – and as consumers, that’s a choice we all get to make. No one is forced to use a rangefinder, GPS or own a smartphone. Luddite golf is entirely acceptable, and products like Golf Scope are only valuable in so far as the end user sees value in them. Seems simple, but too often critics seem to forget the existence of any product doesn’t preclude the availability of other products nor does it require anyone to purchase it. Engle’s primary goal in launching Golf Scope is to get as many golfers using the app (both the free and premium versions) in the next year. Not everyone can afford a professional caddy, so to democratize data holds some philanthropic meaning for Engle as well. While the raw number of users doesn’t necessarily immediately translate to revenue, assembling a vocal and active user-base first will give Engle several ways in which he can monetize the app moving forward. 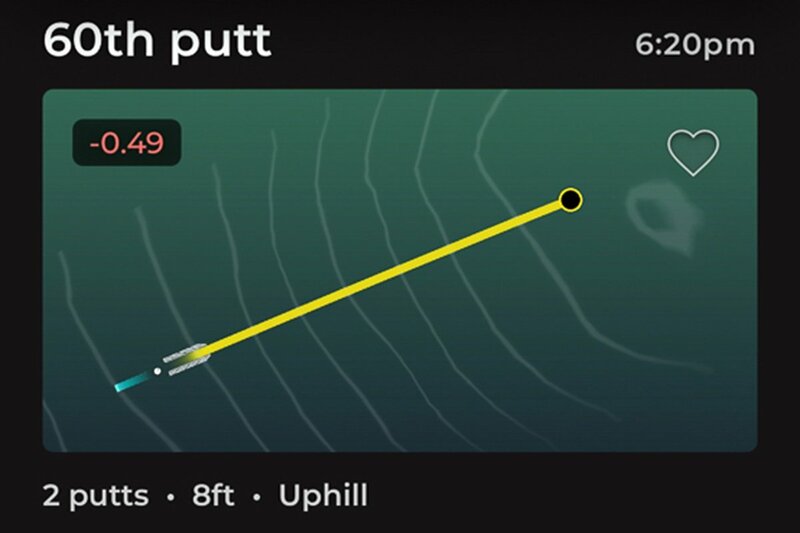 Because this is version 1.0, Engle expects future iterations to better leverage machine learning structures where the app will be able to dis-aggregate data based on any number of filters (course type, putt length, dominant putt break, score if the putt is made) and give players real-time feedback, much like a caddy would. Engle will make his mark on the industry in some fashion, but he’s also a proxy for the next wave of engineers who will be responsible for merging traditional elements of the game with evolving AR technologies and big data. It’s commonplace to ask Alexa for the weather or to order a pizza. It’s was only a matter of time before our phones started reading putts too. Will you try it? Buy it? Or just decry it? Is it legal to use in tournament and rounds to record your handicap with USGA? I tried today and I think it actually helps pace of play. I measure and go. No going around the hole multiple times. Amazed how good this app is. To me it was very quick to use it. I’ve been using Golf Scope now for a couple of weeks and have to say this is the most interesting technology in golf right now. Pace of play is NOT an issue for me nor my playing partners who have since downloaded the app after seeing my putting improve vastly including dropping some 30 foot bombs! Instead of reading the green from at least the side and behind (sometimes the other side of the hole), I use the app as I walk to take out the flag, I line up based on the read the app gives me, I can see the pace and know if it’s uphill or downhill and I putt. Because I’m leaving it closer to the hole or making, I’m putting less and that is the ultimate time saver! More importantly, I’m learning how to read putts and having way more fun! Golf can be so frustrating. I still have to hit the ball and everyone else including people I pay (caddies) give me reads so this is just a more self-managed way of getting the beta that helps me to enjoy the game more! Without fail, everyone I’ve played with has expressed interest in downloading Golf Scope. I think this is a winner! 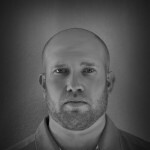 I am on the 30 day trial period with golf scope and I am not proficient enough with the I phone to use the ap. I want to cancel the subscription before the trial period runs out but I don’t know how to make the contacts to cancel. CAN YOU HELP ME BY PROVIDING A CONTACT OR USING THIS AS MY NOTIFIFICATION TO CANCEL. I tried it. Complete waste of time and money. It takes so long to use on green and get set your buddies will be screaming at you. And it never worked once, not user friendly and doesn’t deliver. Thanks for giving Golf Scope a try. We’re sorry to hear that you didn’t enjoy the app like so many of our users have. We’re making improvements to the app regularly and even released a new version that has improved the processing by 10x. We hope that you’ll give us another shot as there is so much more we want to do to make the app better for our users and ourselves. This was a project that started out of our own selfish interests to become better putters and as so many of our friends saw us using it and asked for access, we realized that there was a gap in the marketplace. As a beginner at golf (at age 64), I don’t have 40 years to learn the finesse of the game. Companies like Goftec teach you to swing the club, but rarely, if ever, teach you how to play the game. Etiquette is passed by oral tradition. Learning to read greens is largely taught by self-failure and watching TV. I took the AimPoint training, but don’t have the number of rounds per week to master it. I can’t see very well, so reading is pretty awful. I get that most of the old-timers don’t want any new blood “screwing up” their rounds. I would welcome the tech because it means I might get to finish a round without having to pick-up on half the holes. As a side note: If you want the game to survive, you have to stop harassing newcomers as a curse on your beloved game. If I learn to play it well enough to enjoy it, I might love the game too. If the app functions well, I dont think it will necessarily make the game slower, guess I’d have to see it in action before making that assessment. If it gets approved for use for rounds counting to my HC I’ll def use it if it works well. But this def feels like it replaces a skill of reading greens and hence I don’t see the golfing governing bodies approving this any time soon. Used it in my league today. In all actuality, it was just as quick to use as lining up a putt. I am 54 and the eyesight is not what it used to be 25 years ago. Likewise the putting has deteriorated year after year. Using this app today for 9 holes I one putted four holes and 2 putted the others. The 2 putts were all tap ins. My playing partners didn’t have a problem with me using it as long as it didn’t slow down play. Which it didn’t. The real test will be next week, when the whole foursome probably will have downloaded and using the app. Will let you all know about pace of play and how that goes next week. I am blind in my left eye and cannot calibrate (as my tank in Nam), and would love a hedge. It takes the guy about a minute from start to putting to use the app. Based on my experience golfers take longer, on average, to do the same without the app. Also, as long as you are not the first to putt you can set up while others are reading their putts. I have a suggestion – let’s use a computer to play golf. The one we’re born with and don’t use as we should – our brain. I think the best way to play golf is to use a computer for every shot. the one nature gave us – our brain! Will it no time of day, time of year, weather conditions and when the greens were last cut as all these will affect the line and pace? Seems to me it will slow down the game. Like someone said: putting is an art, not a science. I dont know why we have to compare with tour players. Thats a different game. If you are envious of the advantages the tour players have… Then let us take away something from them instead. Take away their green books and let them read the lines themselves. Dont let the caddie help with green reading. And dont compare with a GPS watch, because distances we can get anyway but it takes a lot longer time than a glance at a watch. Right on ….I was against the topo books since Fred Funk used one at the senior open. It was the only time I was not pulling for him. Interesting comments, especially from many of my pals on the forum. As for me, I’m all for it. 1. Pros have this information in the form of topographical green maps. 2. Pros also have practice rounds where they can putt all over the greens. Watch them in practice rounds. They rarely putt at the hole. And then what do they do? They mark up their green maps. Think this will slow things down? Did you watch DJ on the greens this weekend? If the USGA will take topo maps away from pros, then they can outlaw this. Until then, give me (via affordable tech) what they have. If the pros get to use the green books and have caddies out there for 2-3 days walking every angle of each green, why can’t an amateur use an app that tells them where to hit it. You still have to execute the shot. I pray that I never find myself behind a foursome participating in photo shoots as opposed to playing golf. If I should be so unfortunate, I would hope that our marshal oils promptly admonish said foursome to put their damn phones away and to move on. Use it, it will teach you how to read greens. Eventually, you won’t need it. I guess the people who stated this will slow the play of golf. Never watched Jack Nicklaus or Tiger Woods or any given Saturday morning golfers. I am of two minds about an app to read greens. I have a badly handicapped knee and reading greens from a standing position always feels like a disadvantage. I roll the ball on the line I choose about 90% of the time and would say putting is a strength of my game. Reading greens is not. When I play with a really good caddie I tend to drop about three strokes. I think an app like this would really help my game. I think having a tool to help me with yardages just saves time because I can and would pace yardages off. I don’t think that having an app to read greens is the same kind of thing. It is not just a time saver it would be giving me a skill that I otherwise would not have the ability to gain. I am often the first to get most any gadget in this case I am planning to take a pass. I really hope I will get a chance to see it in action soon. I would love to try it on the practice green. Doesn’t Ryan Engle know there are more android devices out there than iOS devices? Since it is premium app it is wise to launch it first for iOS, because iOS users are known to be better clients (willing to pay) for premium content/service. Ha, that’s a fact. Android users are cheap that’s why they buy it then regret latter because there’s no upgrade path. IOS users do spend money. Tour players have caddies and yardage books which essentially gives them the same topographical information, and while the book doesn’t tell the player where to hang, the caddy often does even pointing to a spot on the green with the flag stick. So essentially it isn’t any different then being equipped with the same sort of input that a tour professional receives. However, do we really need something else to make the rounds even slower? I don’t think it will really help the average player, because the average player won’t have the skill to Pace the ball to maintain the proper line to make the putt. For the serious amateur, this could be a great tool for practice rounds and they blame him to make important notes in his own Playbook. I know that when I was playing mini tour, since section events, and then as an amateur later in life, I would have loved to have had one of these for my practice rounds! I just don’t want to see golf damaged by even slower rounds as the number one complaint against Gulf as it is is that it takes too much time and play is way too slow. There are times when I think technology hurts the game and the players more than it helps. This is one of them. I’ve used the app now and can tell you this is way faster than time spent reading the green. This also helps cut down on three puts by getting you closer to the hole on the first putt. To me what is the difference in having a caddy with a green map and studying that for 10 minutes and having an app that does the same thing and probably a lot faster. As people are saying, even with the technology you still have to hit the shot. Every sport evolves with technology, golf NEEDS the younger generation to keep the game alive. Add tech into it let people learn to play the game with as much help as possible. Don’t understand all the complaining…if you’re a 20+ handicap you will still be a 20+ handicap with this app. I cant see this as a way to speed up the game, and that is a much more important consideration. Standing in the fairway waiting on 4 guys who couldnt make a putt if their life depended on it messing with their phones will make me give up the game. Can you imagine, miss miss miss miss, look at phone Miss miss miss miss, murder 4 guys or gals. That is why I believe greens books need to go, pros and caddies trying to figure out all the little arrows and slope numbers. And yes I have GPS on my phone, and use shot tracking on it, and a laser, but I also play 18 holes walking in under 3 1/2 hours with a 4 some as long as we are not held up. There’s a difference between technology that helps you improve your game via practice and what ought to be allowed in tournaments. I take lessons at Golftec and I spent today hitting different golf balls who see which performed best with my swing (Titlelist Pv1 & Pv1x, 2 different Bridgestone B’s, Volvick S4, Chrome Soft, and Vice Pro – the Vice Pro’s turned out the best). I use the arccos system to track my tendencies – with an Apple Watch, it’s super easy and not disruptive to other players. I used the Halo system to drive up my 43 year old neuroplasicity to allow me to rebuild my swing. This putting app sounds like a great tool for honing in your putting. What technology will do is help us better understand what we should be doing in a given circumstance. My game improved immensely after aggregating my yardage (carry and total) and knowing the precise distances to the front, middle, and back of the greens. In the 1960s, Jack Nicklaus stunned the golf world with presise course measurements. We have that data right our fingertips. The pro’s have Doppler radar systems tracking their data in tournaments. As amateurs, we now have access to all this data too about our games in a manner that doesn’t take up a bunch of time. It’s up to us how we use it. I really don’t understand why anyone would try this technology. Firstly it’s going to slow the game down even more, secondly it’s taking the skill out of this great game of ours. I’m not a lover of Aimpoint, never have been and its success depends so much on pace not science. When is it going to stop and when are we going to accept that technology in the game needs to be limited before it ruins the game of golf for ever. I’ve got an old pair of knickers you can have. And a balata ball. Clearly you appreciate the traditions of the game and cannot possibly support this unnecessary technology. You do know that pace is also part of science. There is no magic to the actual act of putting, it is all science. People who struggle with putting want to say it is an art and not something you can practice. Also, who cares if someone uses this. If it allows them to get better I am all for it. Yes, it will slow down play. Maybe. USGA is always whining about slow play but never bothers to simplify the rules for casual play so as to speed up play. You arrive at your ball and find it 6″ OB. Now what? Oh, I’ll go back to the tee and hit another one. The foursome about to tee off won’t mind. How about take a one stroke penalty, drop the ball in bounds on the closest playable lie, no closer to the pin, and swing away. Make one rule for unplayable lie, lost ball, and OB. Make hazards just hazards. Lateral? Othogonal? Why bother. The rules are like the tax code and only the tax/rules accountants know them. Do the pro’s know the rules? Not well. Now, everyone I play golf with simplifies the rules to speed play and I suspect that weekend golfers do also. OB’s are a drop where it went out and 2 strokes; one for the OB and one to get back to the OB spot [which can be even more penalizing than a rehit.] To follow the rules for the US Open would make for 6 and 7 hour rounds. Oh, and while we are at it, would the PGA please hire people with more than single digit IQ’s to select and set up courses for major tournaments. I have nothing against tech like this if, and only IF, it speed up playing. We should get shot clock feature to all rounds. I do not know how to implement that in sunday practice round. Maybe extra tee payment if you not return your card to CM under 4 hours (or something like that punishment/reward). Just because you can make it doesn’t mean you should and this is one of those times. It might be useful for training but just hit a ball and you will see how the green breaks. This app doesn’t tell you anything you wouldn’t be able to find out yourself and you shouldn’t be able to go down in handicap if you used this app on a round. Using GPS/scoring apps slow me down enough, so I can’t see how this app will help speed up golf rounds. Looks more like a lot of playing around during your round with gadgets. I’d recommend learning to lag putt, chip in from the rough/fringe or hit inside your opponents like another golfer here mentioned. Take a look at what technology did to bowling. The ABC let technology in ball construction take over for being able to adapt to different lanes. Now the people that bowl has fallen way off. Golf is slowly the same battle. The perception (real or not) that you can not compete because you can’t afford the latest technology and/or are unwilling to commit to performing a ballistic analysis on every shot or terrain mapping on every putt will kill participation eventually. Paying a few quid for an app for a phone which has a real chance of lowering your score (if it works) is not going to deter anyone. I just got back into golf and I was disgusted how many shots I wasted on the green. If this or any other app could realistically takes a few shots off my score and was not time consuming or cumbersome to use I think it will be a must have. I’m probably going to buy it now to try out. Old Tom Morris, is not rolling over in his grave he is spinning. Stick, ball, and hole, play the game the way it was intended and leave the electronic play toys at home. I’m a mid-high handicapper who particularly struggles with green reading and translating x amount of uphill/downhill slope translates to y amount harder/softer swing. Having played golf video games, which give green slope, I can see how this might help tremendously. But I have to agree with the no-tech crowd. Learning to read greens is as much a part of real golf as learning proper swing mechanics. Instead of trying to make the game easier players should be trying to increase their skill level through lessons and practice. This looks like a great teaching/practice aid. If you’re goal is to make putting easier then require all greens be flat and the hole be 12″ wide. Can’t see the USGA allowing this. If they won’t allow the use of a slope switch on a range finder, how is this different? If you want to get a really good read on the green, hit your shot inside your opponent. Less gadgets, more feel. Enjoy the game. Might be useful for green mapping, or to build your own green map like the pros use. See it. Feel it. Putt it. As a professional caddie, I plan to get this app to help me map greens during practice rounds, and validate the contours of replacement greens on the course I usually loop at. This technology seems much more efficient that the digital slope meter I now use to accomplish a similar result. And will this app replace professional caddies? Heck no, because a good caddie provides so much more than just reading greens! Email us at [email protected]. We’d love to bounce some thoughts around with you regarding Caddies using Golf Scope. We’re working on something that we think you’ll appreciate! Not ever gonna happen at my course!!! Our 4.5 hour rounds will then take 5.5 hours. I recommend that that TopGolf put in a few putting greens where they can use this, and they could call it TopPutt. I think this is pretty cool. Next step, get it to your eyewear. You still need to execute the shot. Just because you know how to read it, doesn’t mean you can execute it. There are pros that still miss a 3 footer. But this is all mute when you can just Phil Mickleson a bad putt/chip. Never took a gimme when playing for money. Usga should’ve dq’d Phil “the inside trader” Mickleson. They set a bad precedent. Moot/Mute, two totally different meanings….and pronunciations. Glad someone else noticed. I was going to play vocabulary policeman, but you saved me from being the bad cop. Thanks, Alex. Not saying “Yea” or “Nay” but it’s hilarious how many people are judgmental against a concept or technology they haven’t even tried. I haven’t tried the app, but I also love the trial, error, and pain sometimes, of learning to read greens ‘manually,’ I guess we’ll now call it. Ever seen a group batting a ball around the green endlessly because they don’t know how to read a green? Maybe this is the answer to speeding them up. It would be a teacher/caddie, so they can learn to read greens better in the long-run, making them less dependent upon the technology and thereby speeding up their play. Likely very worthwhile for the practice green at the very least. Time will tell. “Excuse me while I whip this out”. If someone in my Saturday game does this he’s going to be run off. I mean; who the hell is going to take a photo of the green and then analyze it before making a putt? I suppose if you’re closest to the hole you’d have the most time to jack with it. But come on. Really? Just because this thing supposedly shows you the line doesn’t mean you’ll hit it on that line and with the correct speed. Clearly, this app is targeted at a younger – and likely more tech savvy – demographic than your typical Saturday morning group. But to your point, just because it provides the player with information (different lines for different speeds) doesn’t mean the player will be able to execute the shot. Golf is still foremost a game of skill and so long as the player is required to execute the shot, that doesn’t change. In terms of what you whip out in front of your playing partners, that’s not a topic germane to this conversation. Play well. Ugh. This is getting a little rediculous. I love to play this game, but man. We’re just hitting little plastic balls around highly manicured fields. Arent we geeking out a little too much with this? Its the wrong approach, all of this analysis. I’m quite sure you won’t play any better with this thing. I cant unequivically guarantee that you will have absolutely no fun if you play golf using dinky stuff like this. Get a life. Have some fun. Its a game, you giant nerds… You know, like a game. Like Tennis and ping pong and basketball? I can’t believe all you guys are so not politically correct. How are all the blind people supposed to play. You know the ones that take 10 minutes to putt for a damn quarter. Might just speed up play for some. Way the game is intended to be played. No thanks. Putting is an art, not a science. I grew up learning to ‘play’ golf the old school way – from looking at a card to get my distance on the tee – picking my club – figuring out where to hit the ball so it would roll to a stop in the middle of the fairway – tep out the distance from markers – pick my club and play the shot – read my line on my putt then putt it……… I understand the betterment of clubs and balls but why the tech??? Rangefinders, shotscopes to green reading apps……. seriously??? Where is the expertise in playing the game or does the ‘now’ golfer want everything done for him??? He still has a problem though – only he or she can play the right weight to the putt unless they want an app to calculate that as well??? I found the same amount of $19.99 a year after trial period. The idea is great. It can be a good teaching tool. Players will be able to understand how to read greens. It will also make them better putters. Con: the spirit of the game will take a hit. It takes away from the skill of the game. Learning by trial error. It may speed up the game but may also slow it down. Either way it takes away the skill and reward of hours of practice. I will try it for a few months and give you my verdict. I love tech and am a gadget junkie, I’m a current Arccos user and swear by tour tempo and Ayxs Golf. I’ll give it a shot once it’s launched for Android but you still have to hit the putt. Now incorporate this with the Rodney Dangerfield putter from Caddy shack and we have something. I caddy a lot of junior tournaments and we are aloud to use slope on rangefinders because you STILL HAVE TO HIT THE SHOT!!!! same thing here, this won’t help anyone who can’t hit a putt in the first place. Just downloaded the app. It’s 19.99 subscription per year, not $5.99 one time. I’ll give it a try because I’m curious and because I support innovators in the golf business. I can see this evolving into an even simpler scanning process where the app recognizes the ball, the hole, and the green in between, then rapidly calculates alternate lines based on variable pace. That said, I can see the concern being expressed about the numbskulls laboring over their putts even longer than they do today. It remains to be seen if this kind of app would slow down the pace of play. I wonder if requiring everyone to have a caddy to assist would speed things up–very impractical of course, but it makes one wonder if technology could substitute for a skilled caddy. Have you had a chance to use the app yet?! We’d love to know what you think. If you’ve not had the chance, you’ll be happy to know that the app does automatically identify the ball, the hole and everything in-between. It just needs a couple of quick confirmations and you to walk it between the ball and hole. We even released a new feature that helps you to measure the Stimp of the green (how fast the green is if you’re not familiar with the Stimp) so you can limit the dreaded 3 jack! 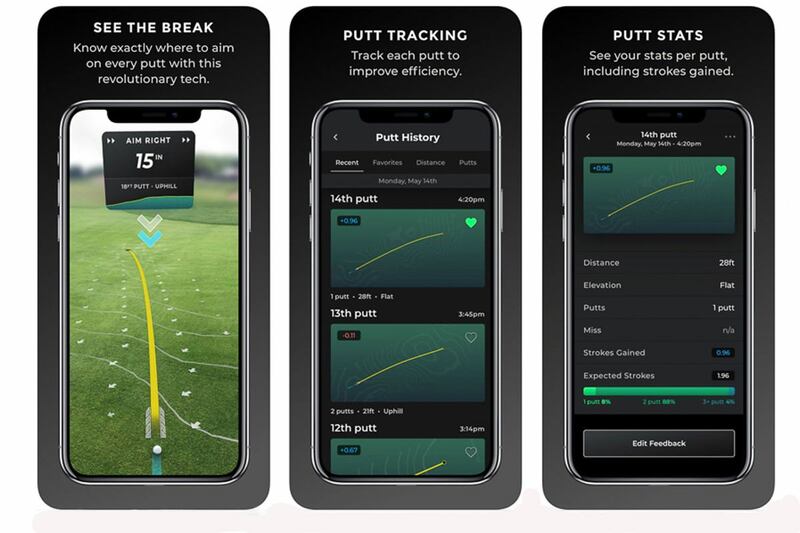 We also believe the experience is very speedy and is either net neutral in time to make putts (especially with a few scoped putts under your belt) to faster than normal rounds since our users are making more putts! We’d love to hear if that is your experience too. The app is good in theory but I’ve used it the last two rounds and had mixed results. The first time I used it it worked great. Did a good job of reading the greens. The second time, on the same course, it never worked properly so I finally closed it out. Also, battery life is an issue if you leave it running and pace off play is an issue if you don’t. Sorry hear that you had mixed results. Have you had any additional challenges since? We’re growing so rapidly and with it has come lots of data to refine the app. We released a new version last week and it has vastly sped up the experience (10x improvement) and believe it to be a more stout release. Give it a shot and let us know what you think. Chris, that is a great concept- digital caddy. I would love to see Mickelson or Tiger slogging their 70# bag to be able to have a digital caddy. PGA tour allows all the electronics you want as long as u stay with in the shot clock and if u have digital caddy then no sherpa & whatever decision you make you have to stay with the whole tournament. A 98 degree day in the Midwest in August. Everyone seems to be jumping on the pace of play bandwagon but the article doesn’t mention how long it takes to map a putt. For those who think this eliminates the skill of reading the green the article makes a great point about a caddy. When I get the opportunity to play a course with a caddy I putt much better because of confidence the caddy gives me about pace and lines of my putts. I can’t see this for competition but can be of great use when out practicing. We’re actively working on a Tournament Mode that we believe will be allowed under the USGA and R&A rules of golf. We’re actively working with the governing bodies on this, but as of now, our focus is on the recreational golfer and helping them to learn to read greens through the technology. We think you’re right though about the confidence a caddy provides. That is also how we look at Golf Scope and have heard so many of our users describe this idea of confidence. They don’t second guess their reads and are able to put a good roll on a ball. So as a training aid, confirming your reads and finding that confidence has been a great recipe for improvement! Certainly going to use it! Just what golf needs. Another time drain that the masses can’t read or undertstand. Nor do they have the skills to start the ball on the intended line. I see this adding 30 Min to a round of golf. I’m all for the entrepreneurial spirit but give golf a break. btw, glasses.com is a great website. I think the USGA should allow it but only if it is combined with a rule that states you must make your stroke within 30 seconds. Also, I’m curious about the point made about mountains affecting the putt. Is there any physics based evidence that the mountain “pushes” or “pulls” the ball or is it that mountains often indicate the higher point of land and a general slope trend from higher to lower? This used to be somewhat true when courses were built with manual labor and not much wholesale earth moving. Once big machines were available to sculpt the land anyway the architect wanted, all bets were off on the influence of other features (lakes, ocean, etc.). Do we really need a reason for hackers to slow the game any more? The guys using this app will still 3 putt after examining a 3 footer for 15 minutes from every angle. Actually, I think it would speed a lot of people up. I get sick of watching people look at a putt from all sides, missing it by 5 or 6 feet and then doing it all over again. Once you get used to the app it should take less time than lining it up from both sides. Think guys would still manually review for slope to gauge the speed. In agreement that this will slow people down and be ugly for players to be on their phones before each put. Not a fan. Totally agree. If you have to use this on a five footer, then you have other problems. It’s the same for those that use a range finder off the green fringe. It’s ridiculous and/or noobs. I see this useful for 10+ feet. I think this app could slow down a round even more for the average weekend hacker. Reading the slope is part of the game. GPS, Rangefinders, OK. But reading breaks should be an intuitive skill that reveals the better player. And what if only one player has one and doesn’t share + pace of play? The game of golf should be played in 4 hours or less. To add people messing with their phone before each put would add more time to the completion of the round. We need to speed up play, not slow it down with time-consuming photos of the ball and hole. Then trying to match what you see on the phone to a spot on the green. Practice only. Seems to be it has to be construed as either an alignment aid or a training aid (neither of which, of course, are legal for play in a “stipulated” round). Looks like actually playing the game using your senses and mind is going to be a thing of the past. Too bad some will never know the satisfaction of doing it all yourself. This might be the dumbest thing I have read from MGS. Golf is a mental challenge as much or more so than the physical challenge. Reading greens is part of that challenge and exactly why some guy that hits it 300+ off the tee may have twitchy nerves on the putting surface and poor green reading skills while a shirt hitter might have an advantage on the green. Golf is a great equalizer and it is the very rare individual that can do everything well. Long game, short game and the mental game. If you don’t want to be bothered with the very essence of the game, judging the wind, the lie and the greens … just play a video game. You beat me to it. Golf is not just executing, it absolutely is gathering data. Distance is one thing as it does still require you to execute a movement that is not simple, and the distances are already supplied by the course and the laser is just speeding it up. Giving you the exact break of the green is AWESOME for practicing and helping you learn to read greens, but using it on the course should not be allowed in any kind of actual play. Totally agree. Read your comment after I posted mine. The technology is for – don’t tell Allan Iverson – practice. It helps us practice smarter. We still need to convert smart practice to the course. I thought that phrase might incite some impassioned debate. Some thoughts to consider. If that’s the dumbest thing you’ve ever read on this site, I believe there several others who have already laid claim to that particular designation. With that, you make several quality points. Golf is both a mental and physical challenge. It’s also a sport where it’s rare to find any one individual who excels in every facet of the game. That said, who gets to legislate the physical and mental boundaries within which the game must operate? We allow players to ride in motorized carts. Is that in violation of the game’s essence? We have courses exceeding 7500 yards. Is that too much? We now have performance fabrics and specially formulated drinks and snack bars, to help heighten awareness and focus. You see where this is going. We already have some boundaries established, yet technology continues to push us to examine whether or not lines need to be redrawn. Sometimes, the result is an actual change or decision to the existing rules of golf. I would assume you’re up in arms over the USGA’s position on Arccos Caddie feature, though I suspect you might not be fully aware of it. Professional golfers have access to professional caddies, with decades of experience and information, and green reading books, which are essentially miniature topographical maps and big data, which can tell a player about every tendency imaginable – and that knowledge base only continues to grow. Why shouldn’t that information be democratized? What’s the difference between a caddy telling the player, “this is two balls outside left” and an app telling a player the same thing? A old ball mark in the green will still knock both putts offline. Players have equipment optimized by launch monitors and use them to warm up and dial in distances before a competitive round. Does it violate golf’s essence if that golfer knows his 9-iron is flying 3 yards longer that particular day and therefore uses that information during his round? There’s no way he has access to that information if not for the launch monitor. Critics are quick to point out that rangefinders (particularly the slope feature) can’t be used in competition, but seem to forget caddies have ALL of this information already recorded prior to any competitive round. They know exactly how many yards to add or subtract for any given shot. That’s their job, but I don’t believe golf’s essence has in any way been compromised. My point remains – regardless of information gathered, the player still has to execute the shot. No amount of information is going to make a slippery downhill 4-footer for the course record, $10 Nassau or US Open any easier. Players and caddies can spend months, days and years gathering this compendium of information or there are apps which can now give it to the masses in a more efficient fashion. How many times have you said to yourself after missing a green the wrong spot, ” Ya big dummy, you know you can’t miss it there…” If we’re being honest, we do it all the time. Why? Because golf is a hard game – and no matter the amount of information present, more skilled players will continue to have the upper hand. I get the sense those critical of this app are actually more bothered by the format/medium of the information and not so much by the information itself. Whether one looks at the pin and decides “this looks like a 3-finger wedge” or lasers the flag, factors in a 2 mph headwind, 1% downward slope and a ball sitting slightly into the grain off a flat lie – it’s all a hypothetical exercise because once the ball leaves the face of the club, no more can be done. It’s the same for every club in the bag. Tour averages wouldn’t be what they are. Heck, Brooks Kopeka makes less than 1/2 his putts from 5′-15′. Right on and spot on Chris! Even though I only golf 2-3 times a year, I’m going to purchase this once it’s available for Android. Great idea for practice. Clearly not something for anything other than the practice green. Will help people to calibrate their reads and speed before teeing off. There is probably some value in that but $20/year seems a bit steep particularly given you say it’s just $6 as a one off. This will be a great app for practice rounds and course/green management. If someone is able to map out where they are on specific areas of the green, their capabilities to read the green from previous experiences when using the app must surely improve their chances of holing out. I haven’t read fully into the capabilities of the app but if it is able to store previous putt data it would be a huge plus as the mapping per green from accumulated data would be a great thing to have going back to your green management. Looking forward to this being brought to Android, I’ll certainly be using it! Hope this never gets approved for use! Talk about ruining the game!! It seems that advances in technology will eventually reduce the game of golf to nothing more than a video game. Might as well go to the pub and play Golden Tee. Isn’t the human judgement factor the thing that makes the game fun and challenging? 1) How does the app factor in the conditions of the green (wet/dry, what grass is used, height the grass is mowed, is it rolled or not, etc. 2) Will the app factor in blemishes on the green and possibly re-calculate the line to avoid a bare patch, or an imperfectly repaired divot? 3) Will it compensate for a right-handed putt vs. a left-handed putt? Based on what I know about the app, you’ve identified several areas/reasons why the information can’t every be absolute or perfect. It could employ machine learning at some point, but beyond the stated green speed, I don’t believe it can yet account for geographical conditions, which might impact speed. The same would hold true for your #2 question – which is why the “answer” provided by the app will always be theoretical, though it may be based on a large and accurate volume of information. Regarding #3, I don’t believe so. The line of the putt is the line of the putt, whether or not you’re standing on the right or wrong side of it! We don’t need anything that will slow the game down more than it already is! One thing I don’t understand is; how does it know the speed of the greens? it can measure elevation, I get that. but, a putt will break more on a faster green. The user has to input the green speed. If the player can’t identify the correct speed, the resulting “reads” may not be entirely accurate. Where do you find the speed of the green? I’ve been playing for 30 or so years and have never seen the the green speed displayed anywhere. 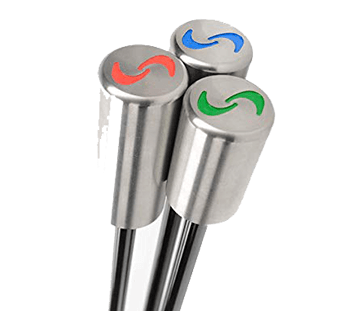 Would you need to bring your own stimp meter? If the user is guessing the speed, doesn’t that invalidate the science of the app? We recently release a feature that helps you measure the Stimp! Update to the new version to check it out! Does the app have the ability to record the mapping once completed and aggregate it so you ultimately have the entire green mapped and only need to shoot the ball and cup? I find the “skill” argument somewhat compelling, but how is it any different than having an experienced caddy which says “This is one cup outside the left edge.” ? The player still has to hit the putt. Is the skill of hitting a 122 yard punch 9-iron into a 1/2 club wind to a firm green any less of a skill because the player knows it needs to be hit exactly 122 yards? Chris one could say it takes the “skill” out but they don’t actually mean skill. I think they might mean talent but even then I don’t think technology removes that. Skill by the Oxford English Dictionary is, the ability to do something well; expertise. The ability to do something well requires practice and experience. We all know that hitting endless balls at the range might build up your skill to a certain extent but you also need that on course time to build and hone it. I see, and I feel like you might lean this way too, that this just helps develop the skill. I look at this like me using Arccos. I have started to develop the skill that I get a distance, either with my rangefinder or from the app on the watch, and I know what club to hit because I have a better idea of my actual distances. The app will suggest a club based on the data but heck a caddie does that as well. Wont hit the shot for me, even when there are times I wish it could! Technology only removes the skill when it does the actual act for you. Doubt USGA would ever approve. However I am very much interested. I think its an awesome tool/concept to compliment reading greens in practice rounds and identifying your “spots” you need / need not hit the next time you play a particular course. Definitely going to try this. Of all the technological advances out there, this one to me appears as though it could slow down play. That said. as long as the player is smart enough about it, perhaps it won’t. It would seem odd though to always take out your phone to see the line. I view this more as a learning tool. Something to start giving you better feel for breaks of putts and aim points. Something you could use on the practice green before a round. No way. Prob good for practice rounds but it won’t be allowed during comps. Surely. Same was said about numerous prior technologies. Why would this one be any different? What kind of crap statement is that? It works for a golf video game, maybe. If my statement is, as you suggest, crap, – then where do we draw the line on when, how and the quantity of information players can have access to prior to hitting a shot? Do you think for a second what goes through DeChambeau’s mind is at all the same as what goes through DJ’s mind prior to hitting a shot? Are you objecting to the actual information or just the way players are accessing it? Seems to be the later. I afraid that’s too much messing around especially if everybody in a foursome uses it. I would not play with someone who does! Leary of an app that has all 5 star reviews within a week or two. I’m guessing fake reviews. So we can slow down play even more?? Hold on second, I have to measure this 20 foot putt with my phone, analyze it, then read it again from all angles … 10 min later … nice putt for an 8. Nope … not for me. And I hope no one in my group has it either. There’s also the possibility it could speed up play. Rather than having to look at a putt from every possible angle, this would only require you to read the putt once. I agree. It does slow play. I added 10 minutes to my game. I had my partner keep a keep track. Unless ruled out by all governing bodies. However, caddies preparing for a PGA tournament it may speed up the Pros during the tournament. Very interested in this one. I play a wide variety of courses every year. This could be a BIG stroke saver, IMO. lakes and mountains effect putts? since when? pretty sure uphill will always be uphill and vice versa. Sounds like this tool has the potential to eliminate the bias that those visual features suggest. Uhh … since the beginning of time. Balls will break Away from the mountains & towards the water. Bigger influence than you might think. Have you ever played a desert course with a river running next to it? Even on uphill greens ive seen putts break towards the river. The local guys told me everything breaks towards the river and I witnessed it first hand. Dunno about mountains though! In the Palm Springs area everything breaks towards Indio. When I’m playing a money match everything breaks away from my wallet. I’d like to try it when available on Android, but it would have to work quickly and easily so as not to slow the round down. Where can it be found at $5.99 one time purchase? I’ve just downloaded the app and it’s saying a $19.99 yearly subscription on there. Same. I would pay $5.99 one time. No way in hell i’ll Do another subscription though. Unless you’re Netflix, I will not subscribe. Subscription services for niche apps like this are a total rip off and playbon human psychological shortcomings.